Independent press that publishes high-interest fiction, including topical, award-winning series that will excite and engage even the most reluctant readers. 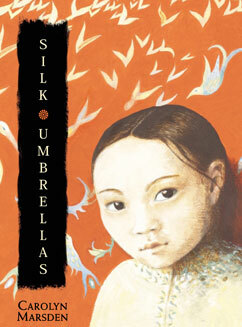 Exciting award winners and popular fiction from trade publisher Candlewick. Perfect for upper elementary and middle school students. In 1963, as Kizzy Ann prepares for her first year at an integrated school, she worries about the color of her skin, the scar running from the corner of her right eye to the tip of her smile, and whether anyone at the white school will like her. She writes letters to her new teacher in a clear, insistent voice, stating her troubles and asking questions with startling honesty. The new teacher is supportive, but not everyone feels the same, so there is a lot to write about. Her brother, James, is having a far less positive school experience than she is, and the annoying white neighbor boy won’t leave her alone. But Shag, her border collie, is her refuge. Even so, opportunity clashes with obstacle. 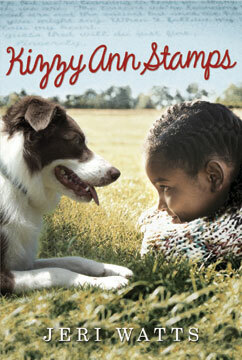 Kizzy Ann knows she and Shag could compete well in the dog trials, but will she be able to enter? From Jeri Watts comes an inspiring middle-grade novel about opening your mind to the troubles and scars we all must bear — and facing life with hope and trust. Across the valley, a drumbeat echoes. For ten days, the drum will call the mountain ryus to war, including the samurai kids from the Cockroach Ryu. Only Japan’s feudal emperor can stop the war, so Niya and Sensei Ki-Yaga set off on a grueling journey with all the Cockroaches, whose firm friendship and unusual skills must be put to the test in order to beg the Emperor to maintain peace. Sensei Ki-Yaga is respected and wise, but unfortunately, the last time he encountered the Emperor, the Emperor threatened to cut off his head. All seems hopeless until Ki-Yaga guides the Cockroaches to meet with the Owl Ninja clan. 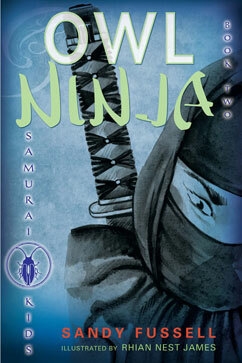 Samurai and ninja are supposed to be enemies, but can these two groups somehow work together to save the sensei and stop the battle in time? Eleven-year-old Noi is learning to paint like her grandmother. She and her older sister, Ting, spend many rapt hours in the jungle watching as Kun Ya paints delicate silk umbrellas to sell at the market. But one day Kun Ma and Kun Pa announce that Ting must start working at a local radio factory to help support the family. As the days and weeks pass, Noi anxiously sees her own fate reflected in her sister’s constricting world. Can Noi find a way to master her fear of failure and stand up for her gift — and Kun Ya’s tradition — before the future masters her? 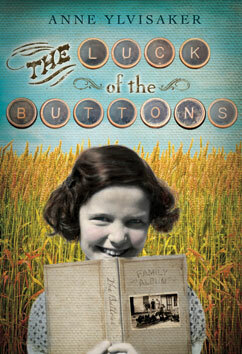 Tugs Esther Button was born to a luckless family. Buttons don’t presume to be singers or dancers. They aren’t athletes or artists, good listeners, or model citizens. The one time a Button ever made the late Goodhue Gazette was when Great Grandaddy Ike accidentally set Town Hall ablaze. Tomboy Tugs looks at her hapless family and sees her own reflection looking back until she befriends popular Aggie Millhouse, wins a new camera in the Independence Day raffle, and stumbles into a mystery only she can solve. Suddenly this is a summer of change - and by its end, being a Button may just turn out to be what one clumsy, funny, spirited, and very observant young heroine decides to make of it. 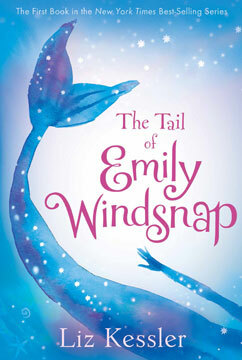 For as long as she can remember, twelve-year-old Emily Windsnap has lived on a boat. And, oddly enough, for just as long, her mother has seemed anxious to keep her away from the water. But when Mom finally agrees to let her take swimming lessons, Emily makes a startling discovery - about her own identity, the mysterious father she's never met, and the thrilling possibilities and perils shimmering deep below the water's surface. 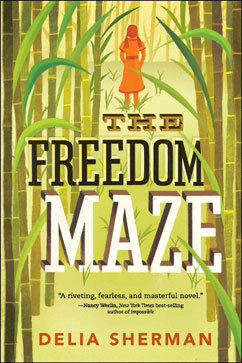 Exciting award winners and popular fiction from trade publisher Candlewick. Perfect for middle school and high school students. 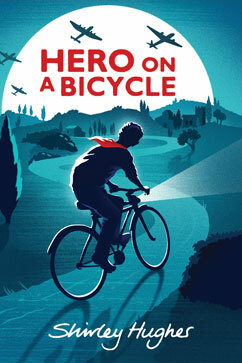 In her first novel, beloved author Shirley Hughes presents a World War II adventure proving that in extraordinary circumstances, people are capable of extraordinary things. Italy, 1944: Florence is occupied by Nazi forces. The Italian resistance movement has not given up hope, though — and neither have thirteen-year- old Paolo and his sister, Costanza. As their mother is pressured into harboring escaping POWs, Paolo and Costanza each find a part to play in opposing the German forces. Both are desperate to fight the occupation, but what can two siblings — with only a bicycle to help them — do against a whole army? When Cole’s mom dumps him in the mean streets of Philadelphia to live with the dad he’s never met, the last thing Cole expects to see is a horse, let alone a stable full of them. He may not know much about cowboys, but what he knows for sure is that cowboys aren’t black, and they don’t live in the inner city. But in his dad’s ’hood, horses are a way of life, and soon Cole’s days of skipping school and getting in trouble in Detroit have been replaced by shoveling muck and trying not to get stomped on. 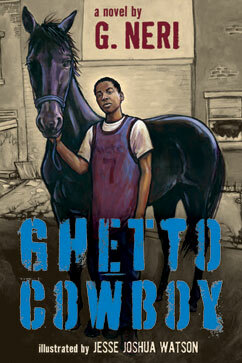 At first, all Cole can think about is how to ditch these ghetto cowboys and get home. But when the City threatens to shut down the stables— and take away the horse Cole has come to think of as his own— he knows that it’s time to step up and fight back. The enchanting true story of a girl who saw fairies, and another with a gift for art, who concocted a story to stay out of trouble and ended up fooling the world. 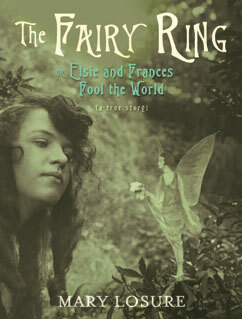 Frances was nine when she first saw the fairies. They were tiny men, dressed all in green. Nobody but Frances saw them, so her cousin Elsie painted paper fairies and took photographs of them "dancing" around Frances to make the grown-ups stop teasing. The girls promised each other they would never, ever tell that the photos weren't real. But how were Frances and Elsie supposed to know that their photographs would fall into the hands of Sir Arthur Conan Doyle? And who would have dreamed that the man who created the famous detective Sherlock Holmes believed ardently in fairies- and wanted very much to see one? Thirteen-year-old Sophie isn’t happy about spending the summer of 1960 at her grandmother’s old house in the bayou. Bored and lonely, she can’t resist exploring the house’s maze, or making an impulsive wish for a fantasy-book adventure with herself as the heroine. What she gets instead is a real adventure: a trip back in time to 1860 and the race-haunted world of her family’s Louisiana sugar plantation. Here, President Lincoln’s Emancipation Proclamation is still two years in the future and passage of the Thirteenth Amendment is almost four years away. And here, Sophie is mistaken, by her own ancestors, for a slave. 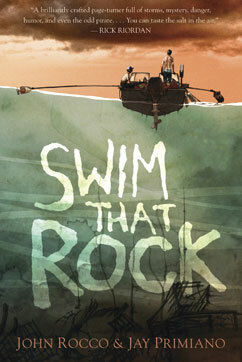 When his dad goes missing in a fishing-boat accident, fourteen-year-old Jake refuses to think he may have lost his father forever. But suddenly, nothing seems certain in Jake’s future, and now his family’s diner may be repossessed by loan sharks. In Narragansett Bay, scrabbling out a living as a quahogger isn’t easy, but with the help of some local clammers, Jake is determined to work hard and earn enough money to ensure his family’s security and save the diner in time. All logos, designs, and brand names for Renaissance’s products and services are trademarks of Renaissance Learning, Inc., and its subsidiaries, registered, common law, or pending registration in the United States.